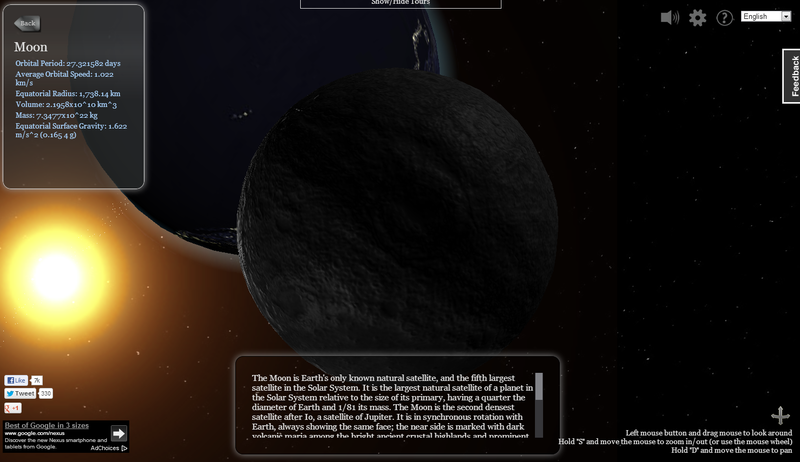 3D Solar System Web is a neat website that I discovered through the Chrome web store. 3D Solar System Web features a narrated tour of the solar system beginning at the sun and working out through all of the planets. The tour explains the classifications of each planet, how long it takes each planet to orbit the sun, and each planet's unique features. In addition to the narrated tour of the solar system 3D Solar System Web gives visitors the option to manually zoom through the solar system. Clicking on a planet's name in the menu will reveal some basic information about it. 3D Solar System Web could be a good place for students to find some introductory or review information about the solar system.